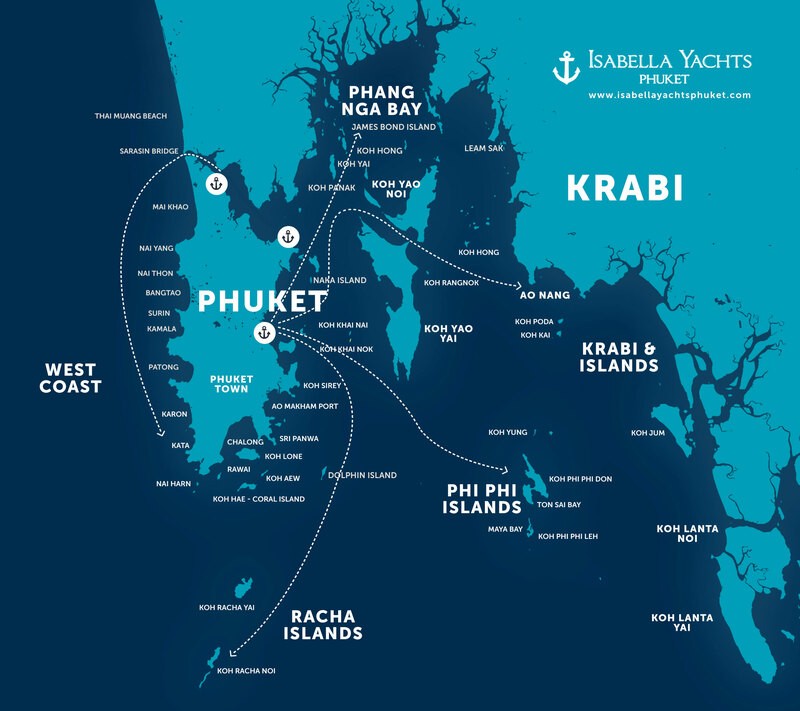 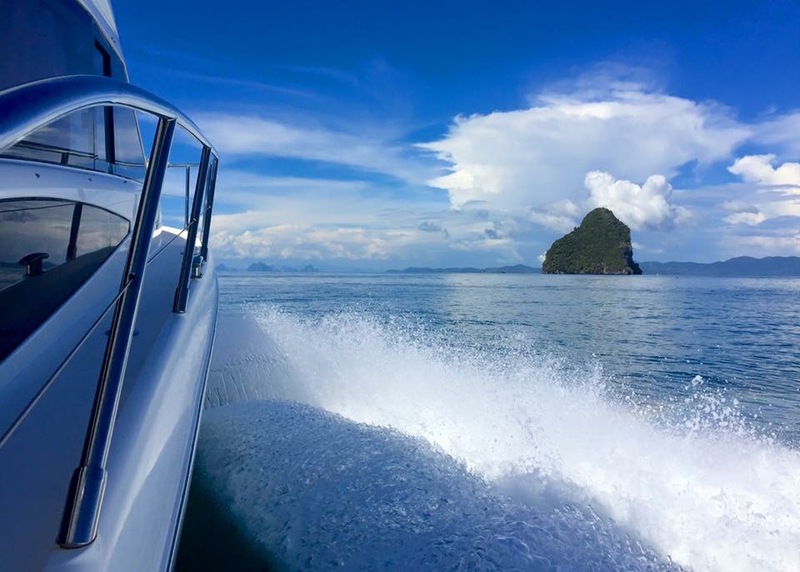 Enjoy the best views and breeze on the spacious and shaded flybridge while cruising between the islands around Phuket and Phang Nga Bay. 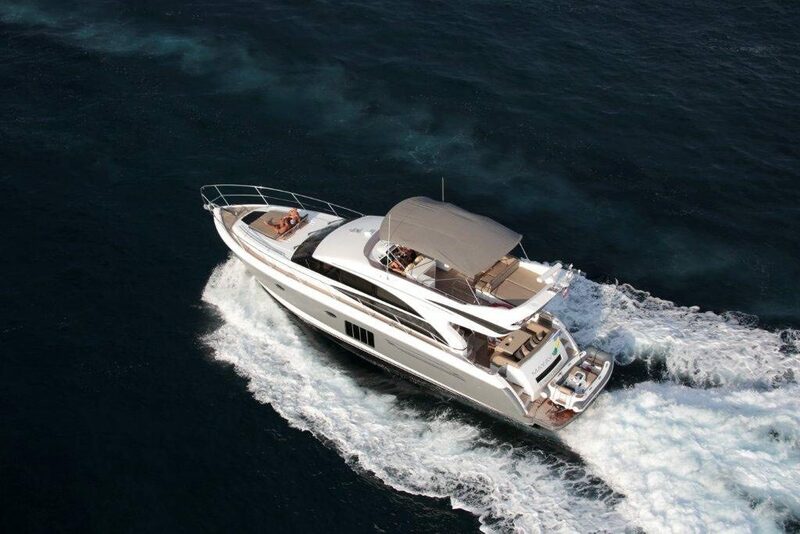 The Princess 60ft is ideal for groups of friends, families or business groups of up to 16 passengers for day charters. 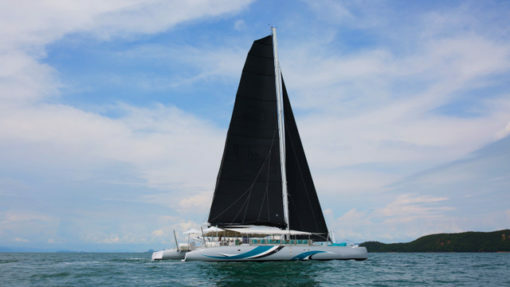 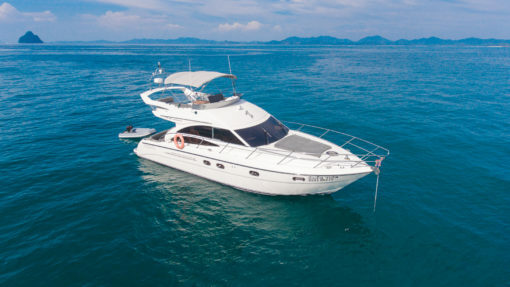 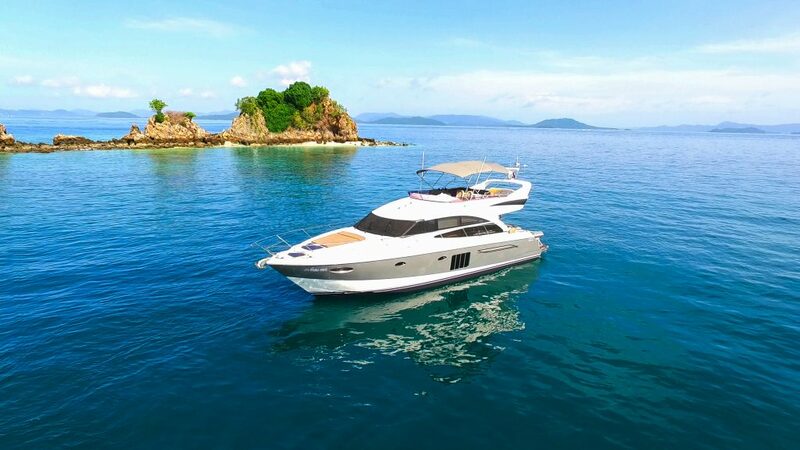 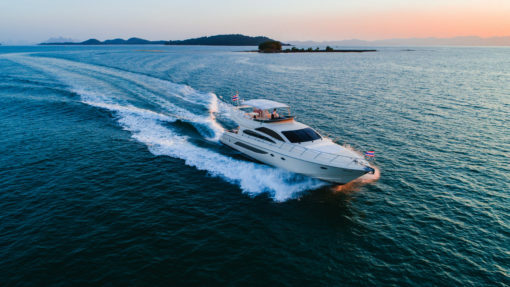 We also recommend this superb yacht for overnight charters around the islands of Phuket; she can sleep up to 6 passengers in the spacious 3 double cabins and comes with a professional crew of 3 to support and accommodate any of our clients needs during the trip. 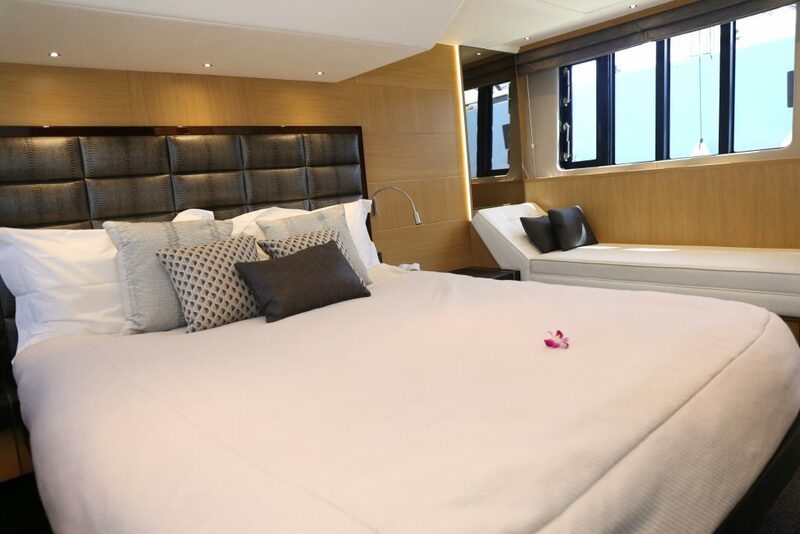 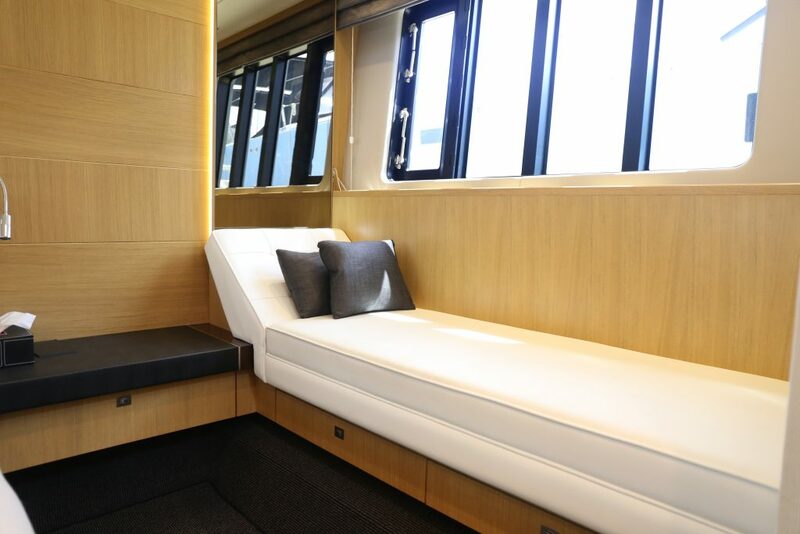 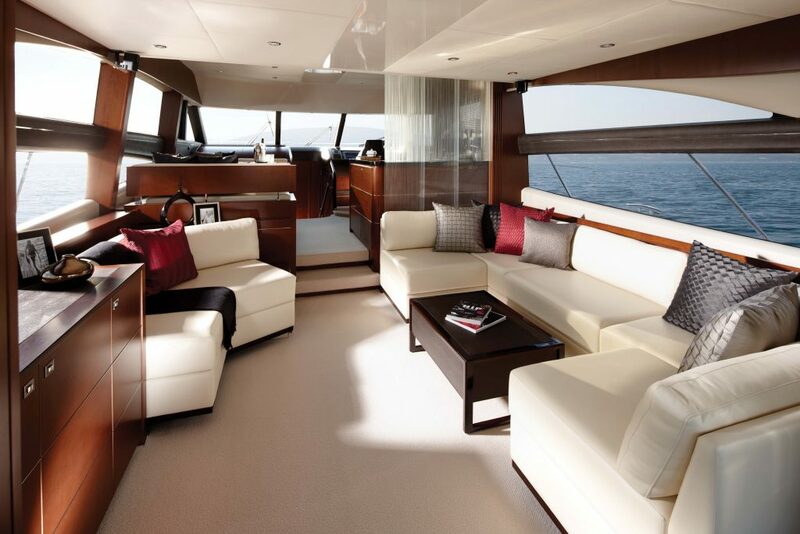 Air Conditioning, flat screen TV and all latest modern technology are provided onboard this private yacht to make sure all our guests are happy, whether they want to stay tanning at the front or maybe take a power nap in one of the beautiful cabins available even during day charters. 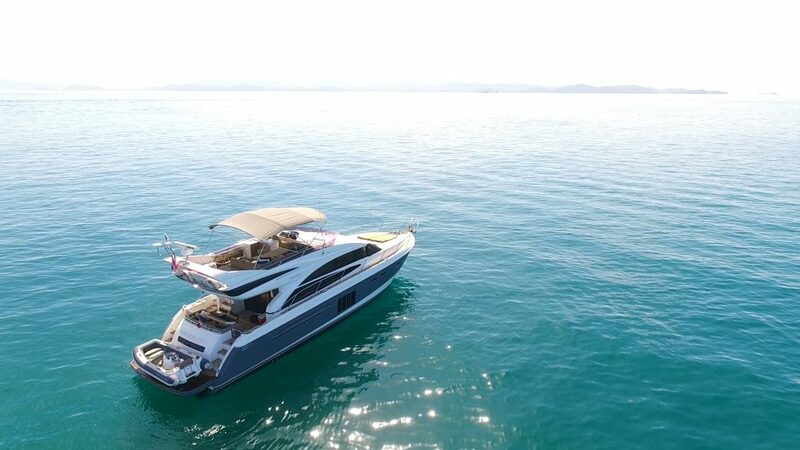 With the powerful Williams jet tender included with the yacht, guests can enjoy all kinds of water sports from wakeboard, to waterski, donuts, bananas… you name it!